Wow, this is so inspiring. You are awesome! Very inspiring article indeed! It is very well written with full of useful tips and how it is never too late once you set your focus on your goal. Thank for sharing your experience and good luck to you. 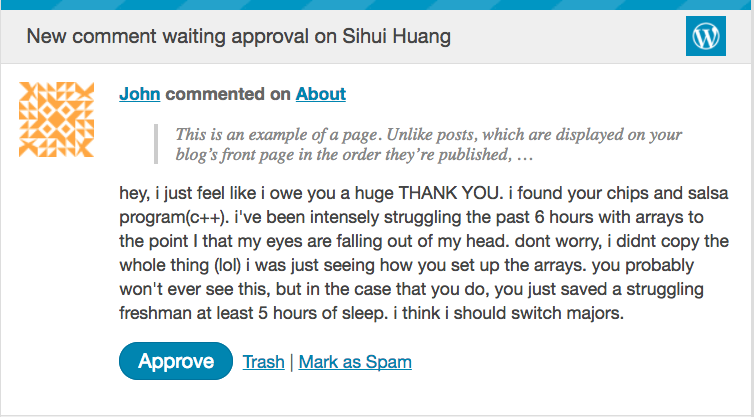 Sihui, thank you for sharing your story. Worried, scared, feeling not smart enough – that’s exactly the way I’ve been feeling lately. Knowing that other people have similar struggles and that you don’t have to be a genius to be a programmer is truly relieving. Your story inspired me and gave me hope. Gonna fight for my dream career! Congratulations on the fruit of your labor and hard work! Thank you so much for sharing your personal experiences and great tips on achieving goals in life in general. I love your writing style which is very human and relatable. Wishing you the best in your upcoming endeavors! Look forward to reading more of your posts! Just like any other article, this too was great, I believe in many similar ideologies like yours, shared the article as much I could. Hey ! i am going through the same anxiety while applying for summer internships ! Thank you for sharing this. It helped a lot ! I really enjoyed reading your article and found it inspiring. The article was shared round one of the Slack groups in the Udacity Data Science course, hence how I landed on it – and boy am I glad I did. I’m in a different boat to the one you were in, I have a job already but in a totally different field. I’m really excited about a career change in this direction but sometimes wonder if I’ll be able to do it, how long it’ll take, is it worth the effort, etc etc. So thanks for sharing your story, embarrassing bits and all! By far this is the most REAL LIFE experience and inspiring read I have had the complete pleasure of participating in on my journey of a Developer… I Thank You for taking out time to do this…U are fantastic!!! I really appreciate you’re hardwork then smart and finally you’re mental strength about keep going and never give up attitude, it really motives others too. 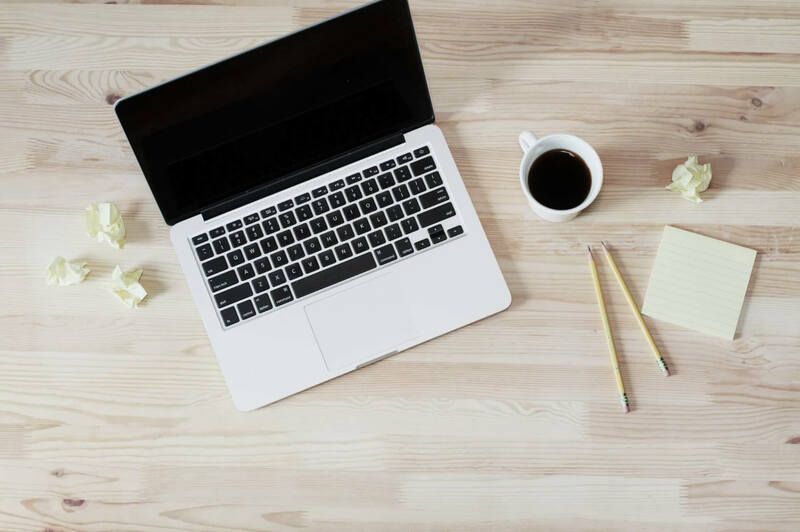 About your writing skill it’s just wow, you have excellent storytelling art that keep reader engaged and most importantly they can relate to you’re journey. Keep rocking!!! Thank for sharing your experience. It is really good and it gives me a lot of tips and tricks for my own learning. Oh my god! This article is like a magic to me, I’m glad that I clicked on your website. I burnt out. I’m full with negative thinking and emotions. Lately I demotivated. There’s none of thing that would drives me to do my job excellently. I’m depressed. Doing a job is not just a job. I keep myself down because of my skills are low. Reading your article inspired me, I need to believe that “no success comes easily”. I want to cry right now TT Thanks so much Sihui. I know I’m not giving up, I just lost myself along the journey. I hope I’ll be strong like you.